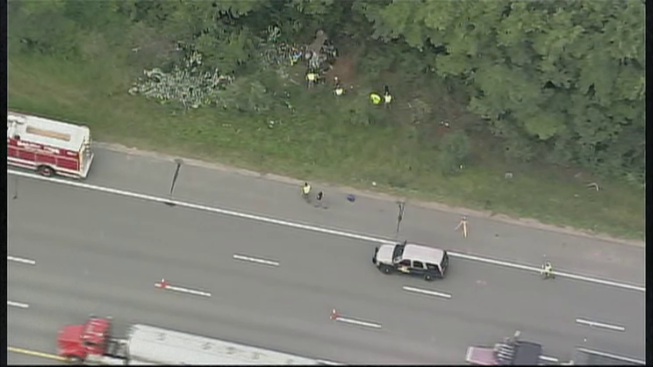 A serious crash on Interstate 93 in Salem, New Hampshire, killed one person and caused major delays on Monday morning. The single-car crash occurred around 5 a.m. on I-93 south just north of the Massachusetts State Line, according to state police. Police say Nicholas Cauchey, 22, of Derry, New Hampshire, was traveling southbound when he lost control of his vehicle and crashed into the embankment. His passenger, Ethan Hargreaves, 22, also of Derry, died at the scene. Cauchey suffered non-life-threatening injuries and was taken to a nearby hospital. The accident caused major delays during the morning commute, with traffic stretching well into Pelham, New Hampshire.